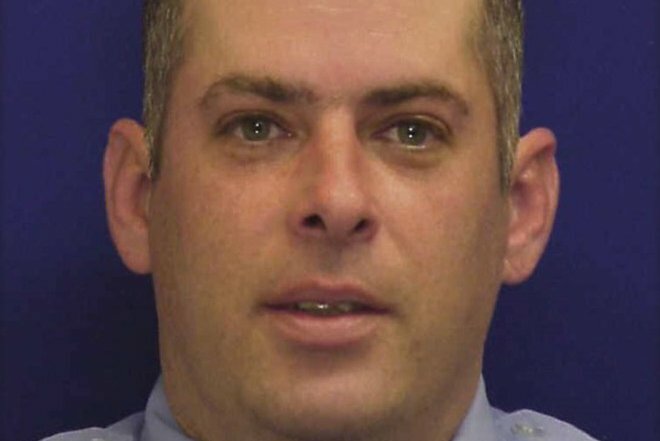 Philadelphia firefighter Michael Bernstein will be laid to rest on Tuesday, after a posthumous promotion to lieutenant. Philadelphia firefighter Michael Bernstein will be posthumously promoted to the rank of lieutenant at his funeral on Tuesday. Michael Bernstein, 46, a 22-year veteran of the department who had worked at companies all over the city, suffered a medical emergency on duty last Wednesday and died that same day at Mercy Fitzgerald Hospital in Darby, Delaware County. He was stationed at Engine 78 at Philadelphia International Airport. A two-day viewing begins from 5 to 8 p.m. Monday and continues from 9:30 to 11:30 a.m. Tuesday at the John F. Givnish Funeral Home, 10975 Academy Road, in Northeast Philadelphia. A Mass of Christian Burial will be held Tuesday 12:30 p.m. at St. Jerome Church, 8100 Colfax St., in Holme Circle. A private burial will follow the funeral service at Resurrection Cemetery in Bensalem, Bucks County. Bernstein served with the Philadelphia Fire Department for more than two decades, many of them with Ladder 29 in the Ogontz/Fern Rock neighborhood. In Bernstein's memory, all City of Philadelphia flags are flying at half-staff for 30 days.